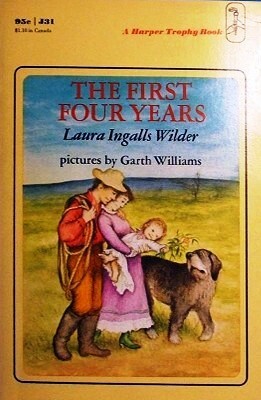 We finally finished the last of the Little House books, The First Four Years. It was by far the shortest and, I think, the most depressing of the series. Laura and "Manly" had setback after setback, entire years' worth of crops lost to early frost or drought, the death of their newborn baby boy, a house fire in which they lost almost everything, it was such a heart-breaking note to end on. Laura left us with a hopeful reminder of their love of the land and her smiling as Manly sang a cheery song, but it definitely emphasized the harshness of life on the frontier. I'm kind of sad to be leaving this series behind, but ready to start reading something new with my boys. I'm thinking of trying the Lloyd Alexander Prydain series that begins with The Book of Three. I loved that as a kid. Any other suggestions? Here's hoping season three is in the works...Enjoy! Back in October I mentioned the art project "Delicatessen with Love" in a Friday Four. And now I just recently discovered this project where national flags are created out of traditional foods from that country. They're really quite clever (and scrumptious)! I literally laughed out loud at the United States flag and I had to google the foods in the Vietnamese flag. Seriously, go check it out.